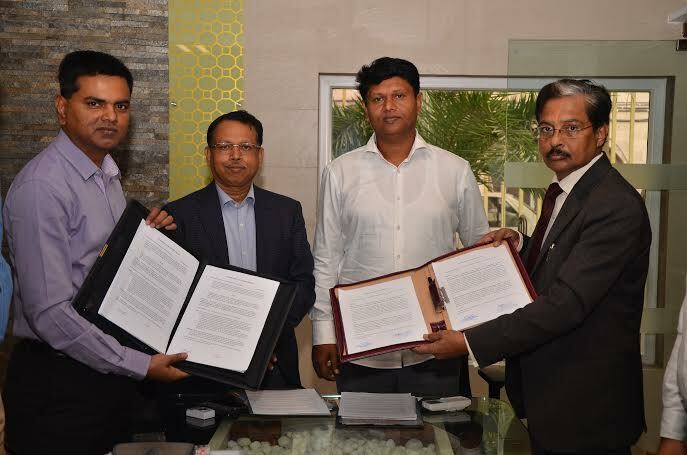 National Institute of Electronics and Information (NIELIT) has signed an MoU with Odisha Computer Application Centre (OCAC) for Skill Development in Electronic System Design and Manufacturing (ESDM) on Tuesday here. Pranab Prakash Das, Minister of Engery, Electronics and IT, Pradeep Jena, Principal Secretary, E&IT, Dr. Ashwini Kumar Sharma, DG NIELIT were present on the occasion. Dr.Ashwini Kumar Sharma signed MoU on behalf of NIELIT while Sanjay Kumar Singh, CEO of OCAC singed on behalf of Odisha government. Minister Pranab Kumar Das said that Odisha is keen to provide all necessary support to NIELIT for addressing the need of capacity building and skill development across the state.